Some of the world’s most notorious criminals, mobsters and gangsters bamboozled their way through Chicago. On this Chicago crime tour, escape into the city’s criminal underworld as you investigate stories about Al Capone, The Untouchables, the Chicago Mob and more. From a luxury coach, see the sites of storied crime scenes including Biograph Theatre, Holy Name Cathedral, and the St Valentine's Day Massacre, one of Chicago's most notorious murders. Snap photos of the historic criminal courthouse, and hop off the coach to walk the path that Chicago gangsters John Dillinger and Hymie Weiss followed just before their deaths. Meet your guide across from the Water Tower Place shopping mall in Chicago’s Near North Side at your selected time. Hop aboard a luxury climate-controlled coach and begin your 1.5-2 hour tour of the history of Chicago crime, from 19th century to today. Your guide will share the lawless history of Chicago’s criminals, gangsters and mobsters as you explore the city’s most famous crime scenes. 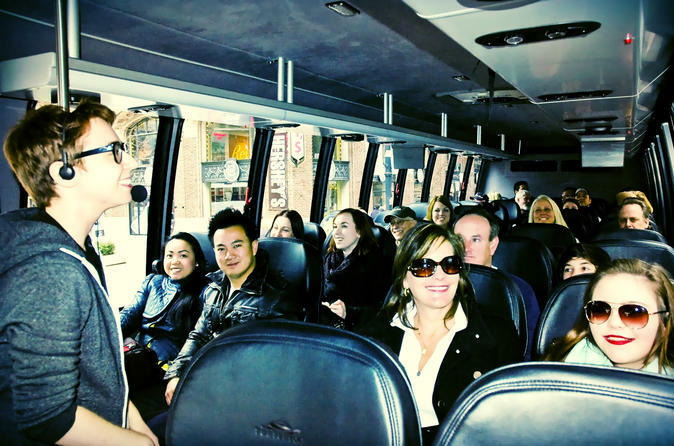 Your tour takes you through River North, the Gold Coast, Lincoln Park, Old Town, the Loop and Magnificent Mile. Hear fascinating stories about Al Capone, The Untouchables, the Chicago Mob, John Dillinger, ‘Terrible’ Tommy O'Conner, Leopold and Loeb and ‘Cap’ George Streeter, all who made their notorious criminal mark on Chicago. Grab your camera for a ‘drive-by shooting’ of the historic criminal courthouse, an architectural landmark where some of Chicago's most famous cases were tried. Stake out crime scenes including the Biograph Theatre, Holy Name Cathedral, and see the site of the 1929 St Valentine's Day Massacre, one of Chicago's most notorious murder scenes. This Prohibition-era conflict between two powerful Chicago gangs -- the South Side gang led by Al Capone and the North Side gang led by Bugs Moran -- ended in the brutal murder of seven Mob members. In addition to your comfortable, narrated drive through the city, you’ll also hop off the coach to visit some areas by foot for a more immersive experience. Your guide will offer in-depth narration as you follow the path that Chicago gangsters John Dillinger and Hymie Weiss walked right before their deaths. Hop back on the coach and return to the Near North Side to conclude your Chicago crime and gangsters tour.